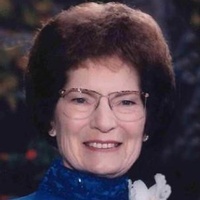 Elaine was born October 2, 1926 in Minneapolis and passed away January 27, 2019 in Minnetonka. She is preceded in death by husband, Herman (Corky) Elsen; parents, Dominic and Irene Kranz; brother, Jerry; sisters, Betty Hatlestadt & Mary Ellen Hegdahl. Survived by son, Larry (Kathy) Elsen; daughter, Jeanne (Mike) Taube; grandkids, Julie (Kimo) Seymour; Amy (Chris) Campbell; Mark Elsen; Michelle Loeffler; Jennifer (Travis) Parker; great grandkids, Emma, Lauren, Jack Campbell; Adelyn and Owen Parker; sister Lois Kottke; nephew, Jim Elsen and nieces and nephews. Service of life will be held at Our Lady of the Lake Catholic Church in Mound, MN (map) on Tuesday, February 5th, 2019 at 10:30am. Visitation at church one hour before Mass. Luncheon to follow. Interment Fort Snelling National Cemetery. Offer your condolences here for Elaine’s loved ones.